Standard is a dynamic format where you build decks and play using cards in your collection from recently released Magic sets. 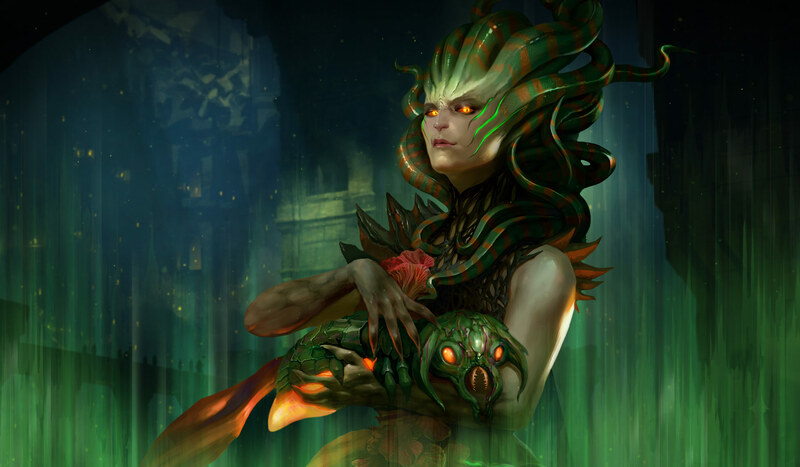 Evolving gameplay and fresh strategies make it one of the most fun and popular ways to play Magic. Pro Tip: Some cards in Standard have alternate versions or were also printed in older sets, and it's okay to use those cards in your deck. If you're not sure about a card, look it up in Gatherer and check the Sets & Legality section. HOW DO I BUILD A STANDARD DECK? • Your deck must be at least 60 cards. • Up to fifteen cards may be included in your sideboard, if you use one. • Include no more than four copies of any individual card in your main deck and sideboard combined (except basic lands). • There's no maximum deck size, as long as you can shuffle your deck in your hands unassisted. Standard events happen regularly all over the world, from social play at Friday Night Magic to the highest levels of competition at the Magic Pro Tour. HOW DOES SET ROTATION WORK? Each year, four Magic sets are released and added to Standard. Once per year, when the fall set releases, the four oldest sets in Standard rotate out.